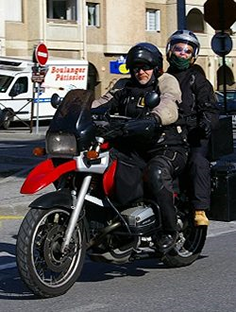 We picked up this motorcycle awareness campaign from the French motorcycle magazine Moto mag.com which shows a motorcyclist in the rearview mirror of a motorist. The awareness campaign which will last for six months consists of a large poster displayed on the back of 30 lorries in Essonne, a French department in the region of Île-de-France just 40km South of Paris and throughout France. 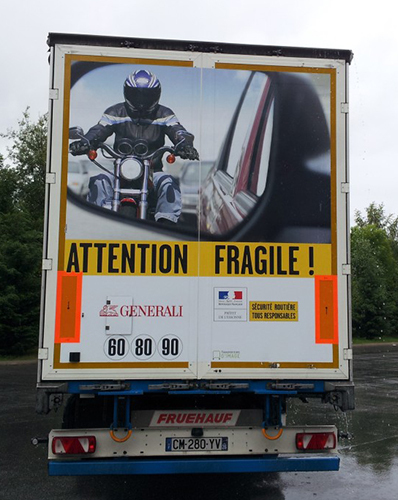 The slogan “ATTENTION FRAGILE !” which needs no translation into English, aims to encourage motorists to pay more attention to “two wheel riders” who remain the most vulnerable users. The poster has also been displayed on 4×3 panels on the edge of highways in the Paris region, during the “Regional fortnight dedicated to road safety” (Regional and Interdepartmental Directorate of Infrastructure and Planning (DRIEA) at the start of June. In addition to the poster campaign, other road safety awareness events took place, e.g. The distribution of a flyer to candidates taking their driving licence test, dissemination of a road safety kit for companies consisting of posters, statistical evidence and video clips awareness on the issue of vulnerable road users. Our own DOE (Department Of The Environment) Road Safety people in Northern Ireland have run motorcycle awareness ads recently on the back of buses and in Bus Shelters. As one commentator on our Facebook page said – Bonne idée. 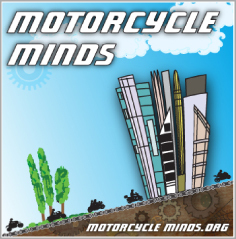 ‘We’re looking for motorcyclists to feature in our next campaign! Launching later this summer our next campaign will encourage drivers to take longer to look for motorcyclists at junctions. We want to organise a photo opportunity to grab the media’s attention and highlight to drivers how many motorcyclists are involved in collisions at junctions. Have you been involved in an accident whilst riding? Did the accident damage your protective riding gear? Do you still have some of this damaged equipment? Would you be happy to be photographed with a group of riders showing your damaged riding gear and appear in national media? You will need to be available for up to half a day with your bike and clothing, in London, during early July. The story may be shared in national and regional press and online via social media (Twitter and Facebook).